Need a reliable partner that guarantees confidentiality and security? Hello, my name is Guido. 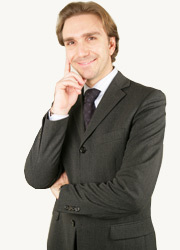 I am from Milan and I am in charge of IT and Web marketing at Agostini Associati. I graduated from the University of Colorado in Business Administration with a major in Web Marketing and IT Management. One of my main responsibilities at Agostini Associati is ensuring that client information is accessible only to those with authorized access. Why have over 500 leading companies chosen us as their linguistic provider for translation and localization services in all language combinations and for highly confidential documents? Because we care about the security and confidentiality of your data! How do we guarantee the confidentiality and security of your data in the translation and localization services we provide?